Did you catch them last night at Empty Bottle?! Check back with ChiIL Live Shows like we vote in Chi, IL... early and often. We will be reviewing Dirty Beaches' critically acclaimed double LP Drifters/Love Is The Devil shortly. Dirty Beaches' Drifters/Love Is The Devil has been one of the standout records of 2013 so far, receiving a Best New Music from Pitchfork and rave reviews across the board. The man behind the project, Alex Hung-Tai Chang, has asserted himself as one of the most dynamic and exciting artists making music at the moment. Now for the first time since the album's release on Zoo Music, he'll be touring North America with his full band. The show is electric and brings to life this complex and beautiful collection of songs as captured here in the recent video for Casino Lisboa. Dirty Beaches has announced a full North American tour this fall in celebration of his acclaimed new double album, Drifters/Love Is The Devil, out now on ZOO MUSIC. He'll also be releasing a special, limited edition tape only version of the double record while on tour. 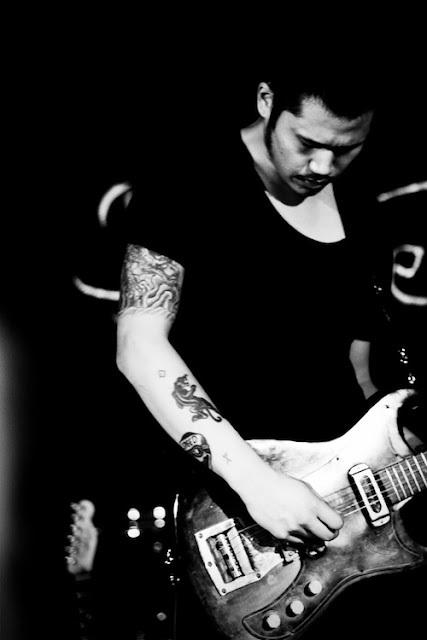 The solo project of Alex Huang Hungtai, Dirty Beaches has perhaps surprised his already familiar audience of fans with Drifters/Love Is The Devil, a double record that toes the line between his carefully refined rockabilly sound and one that leads more towards instrumental film scores, characterized by intensely beautiful and often melancholy emotion. The artist went on NPR recently to discuss the new double record and some of its influences and history, called "washy, dreamy rock music that often feels nostalgic." Meanwhile, Pitchfork glowingly discussed the record in their Best New Music album review, calling it, "both sprawling and detailed, a sonic travelogue that takes the textural aspects of his work to impressionistic heights...Drifters/Love Is the Devil is more robust and eccentric than anything he's ever released before." 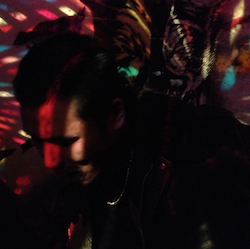 Dirty Beaches Video for "Casino Lisboa"
Alex Zhang Hungtai, AKA Dirty Beaches, started off as a one man band in 2005 in Montreal. A trans-pacific nomad and genre hopping sound smith, his past releases include drone instrumentals, film scores and a fascination with dissecting popular american music like blues, rockabilly, soul, RNB, and hip hop, often rendering them to the point where its no longer recognizable. as we follow him down the rabbit hole through the labyrinths of Berlin, Belgrade, Paris, and many other cities through heartbreak, rebirth and masochistic existential self reflection. Recorded between Montreal and Berlin in the winter of 2012, the double LP is separated only by aesthetics, as they are tightly woven together thematically as one conceptual piece. If 2011's Badlands was an exercise in exorcising past ghosts in a semi-fictional world, then Drifters/Love Is The Devil is a reflection on the fragility of reality. One, of the surface world in which he explores the night life of bright neon temptations dwelling in hedonistic irresponsible values, and the other of the inner world, one of remorse and lovelorn tragedies. As stated by the artist himself, "the most honest piece of music I've ever written." Drifters/Love Is The Devil is out now on ZOO MUSIC.